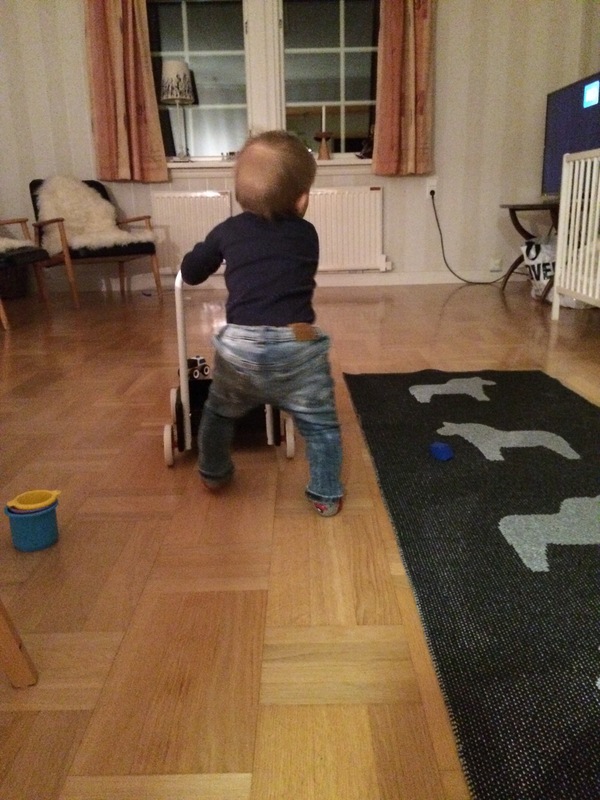 The little guy has really been moving a lot! He has had a good combination thus far while back in Sweden: he has been healthy, he has had a lot of space, he has had a lot of people to play with him. And the end result of that is a very energetic little one who is now up on two feet just as much as he crawls. 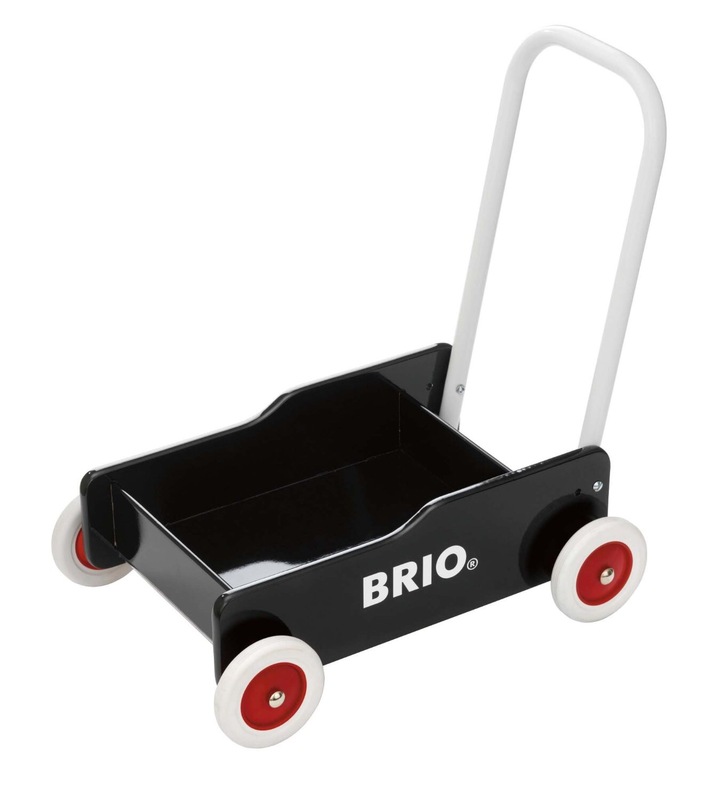 In Sweden, it is popular to use a product by Brio that the little ones grab onto and walk around with. There are fancier plastic versions elsewhere in the world, but this one is super basic; made of wood, metal, and rubber. yep, he has tiny stone-washed jeans, too!